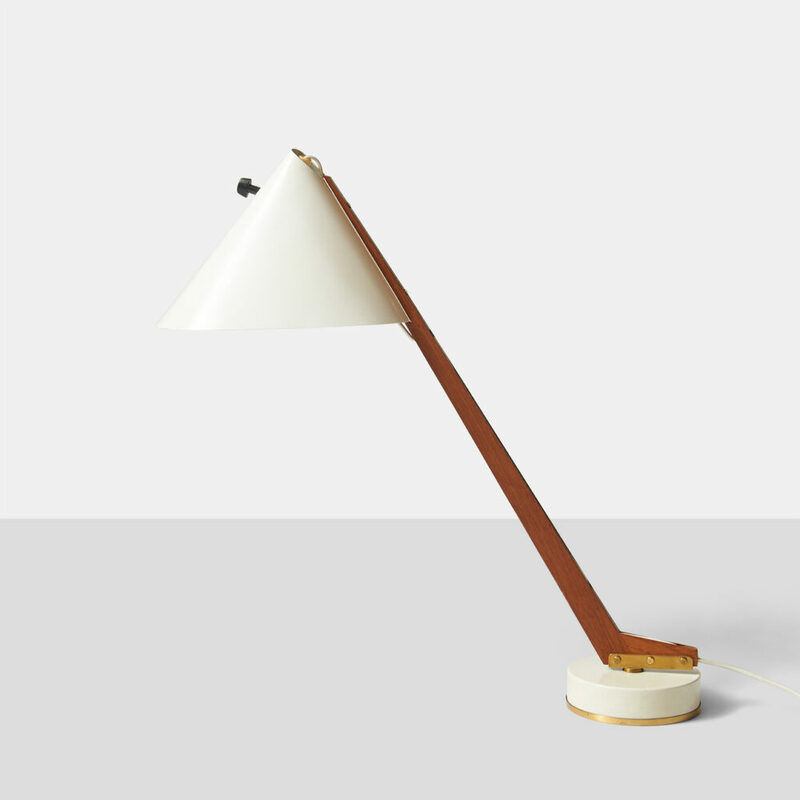 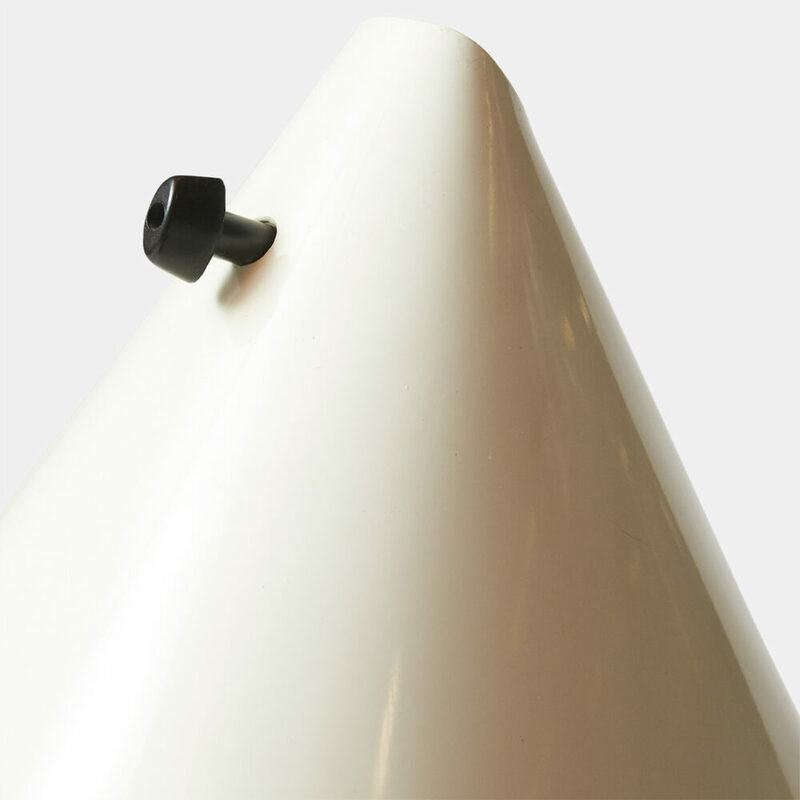 A published desk lamp model B54 by Swedish designer Hans-Agne Jakobsson. 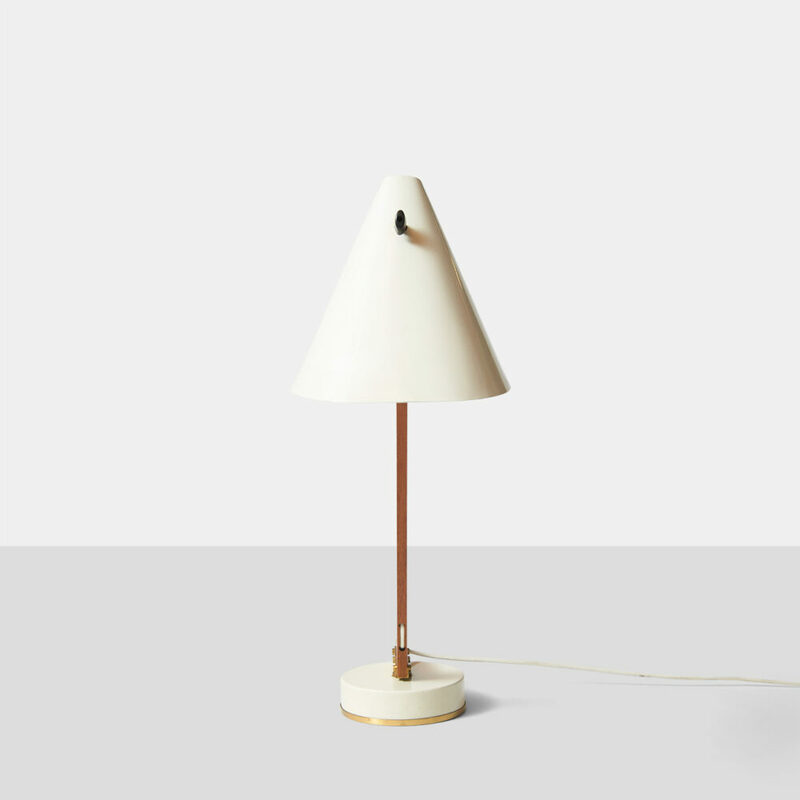 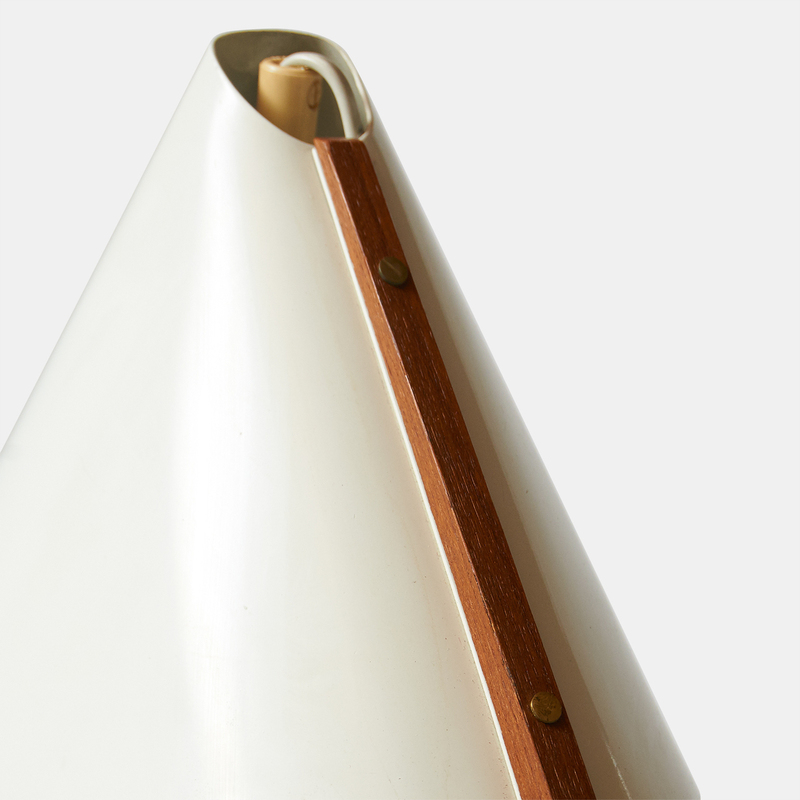 White metal base and shade with brass trim and a rotating teak stem. 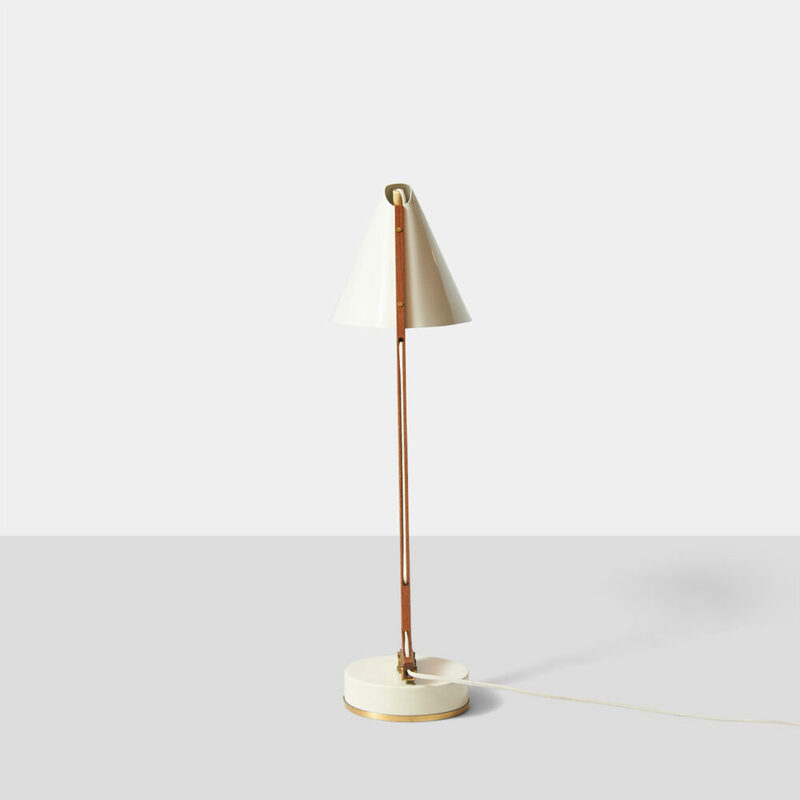 The cord is exposed and recessed into the wood stem. 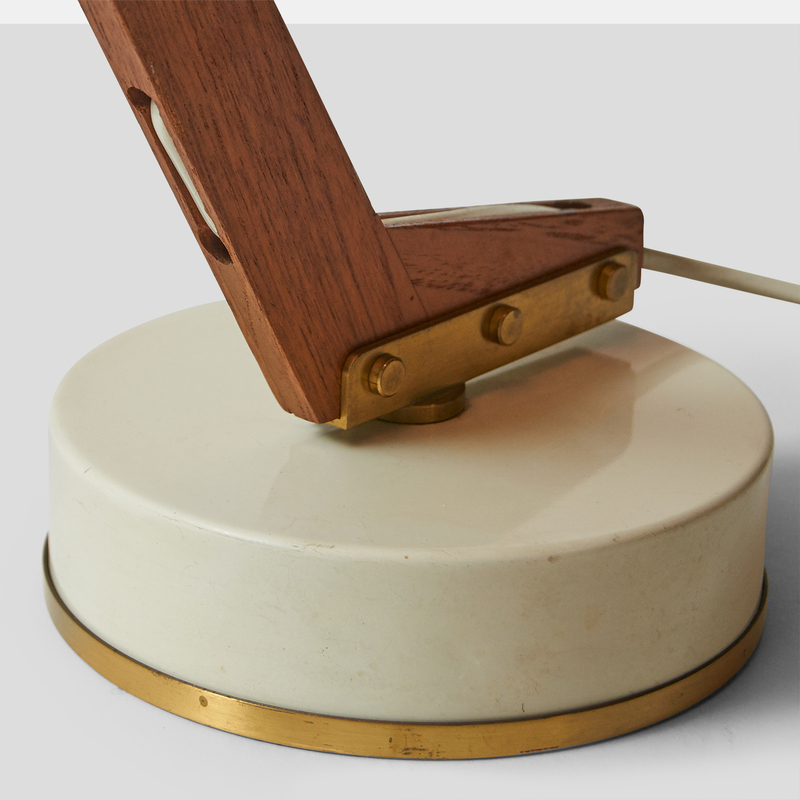 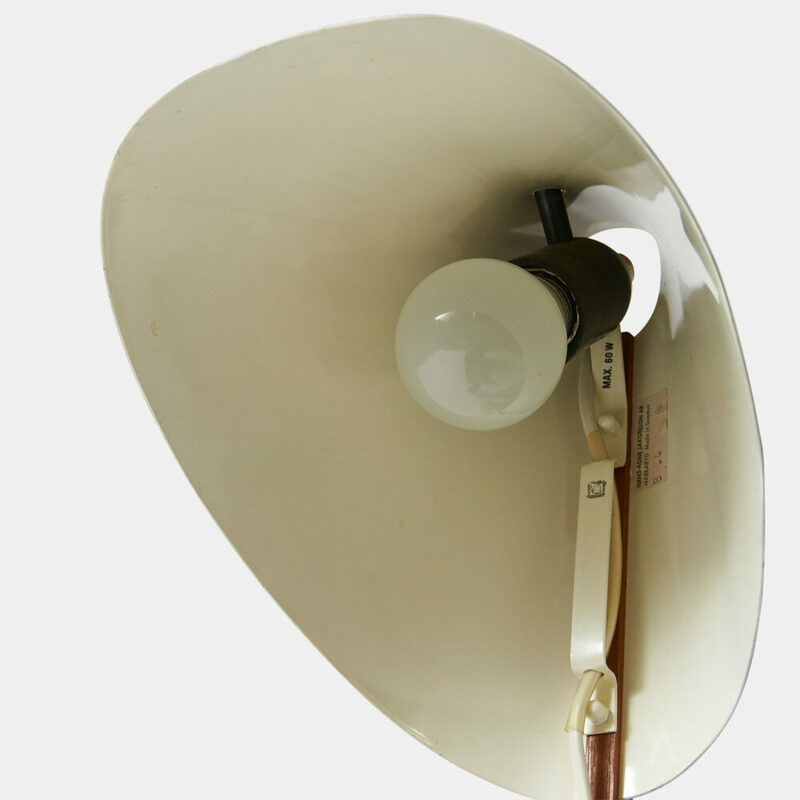 The lamp retains the original label H-A Jakobsson Markyard and the original wiring in excellent working condition.